The Cathaoirleach of Kilkenny County Council, Cllr. Eamonn Aylward, led a commemoration of the centenary of the first meeting of Dáil Eireann on January 21st 1919 at County Hall on Monday January 21st. Cllr. Mary Hilda Cavanagh also spoke about the commemoration of women achieving a vote in the 1918 general election. 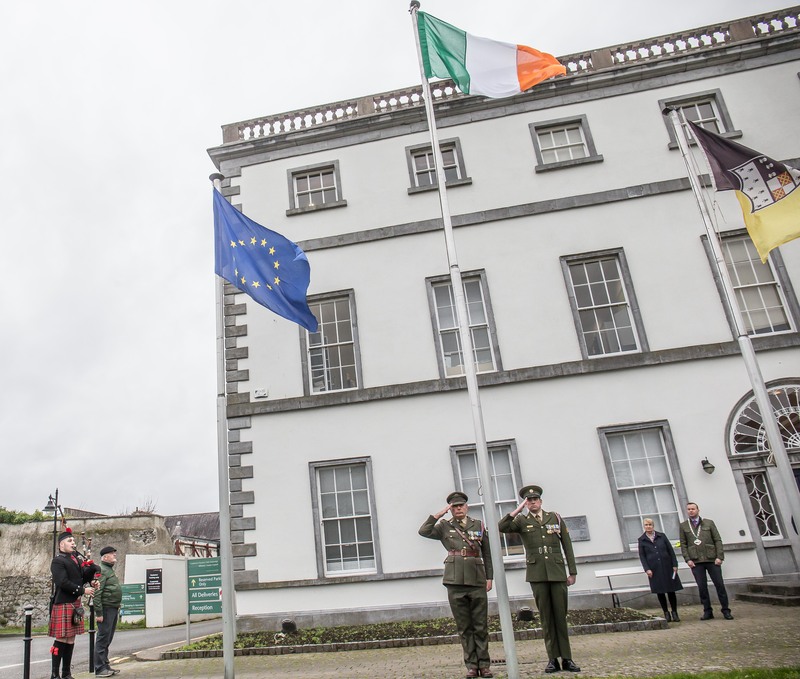 The Flag Party, of the 3rd Infantry Battalion (James Stephens Barracks) raised the Irish Flag. The solemn celebration ended with the planting of two native oak trees in the grounds of County Hall. The event was co-ordinated by the Heritage Office.